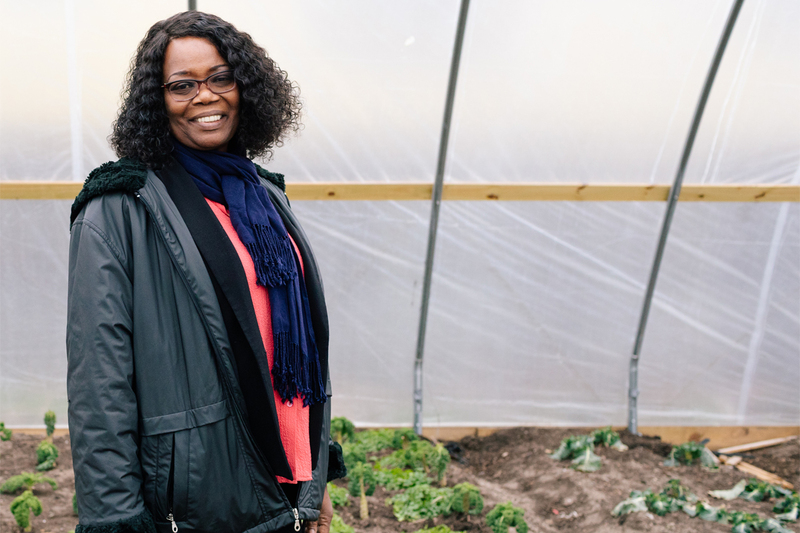 Reverend Melony Samuels, the founder of the largest food pantry in the borough, is fighting poverty and changing her neighborhood’s relationship to healthy food. If you had a choice between hunger or diabetes, which would you choose? Reverend Melony Samuels of Full Gospel Tabernacle Fellowship says many of the low-income Brooklyn families she has worked with over the years have often faced this question. 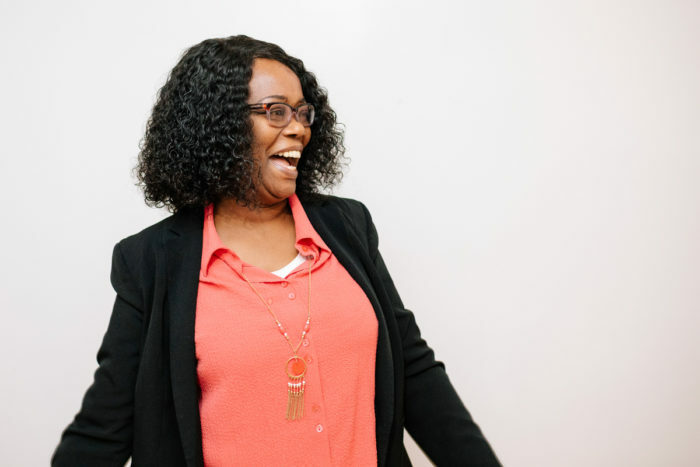 Samuels quit her sales job at an insurance company more than 20 years ago with the goal of making her community healthier after observing that the prevalence of unhealthy food choices was almost as alarming as the rate of food insecurity that was swallowing up her neighborhood. An informal survey she conducted of 500 people in 2005 taught her that many of her respondents struggled with health issues. Samuels opened The Campaign Against Hunger (TCAH) in 2006, a 2,000 sq. ft. pantry offering nutrient-rich foods and fresh produce, only to realize the biggest challenge wasn’t the availability of healthy food. It was the relationship that people in the neighborhood had to the food they ate. So, she set out to help change that relationship. Samuels and her staff now serve healthy food to 30,000 people in the Bedford-Stuyvesant (or Bed-Stuy) neighborhood every month through TCAH. Bed-Stuy has the least healthful “food environment” in all of New York City, with 57 bodegas for every supermarket. According to a 2018 report by the City of New York, it has more than double the number of premature deaths caused by diabetes than the average, and is among the districts with the highest levels of hypertension. The Campaign Against Hunger staff (including Melony Samuels, back right), at one of TCAH’s Mobile Pantries. TCAH started in 2006 as a small food pantry that provided free food to anyone who asked for it. Today, it’s the largest pantry in Brooklyn. And its growth is in great part due to Samuels’ ability to innovate. Over the past 13 years, the organization has served 3 million meals and 16,000 pounds of fresh produce. But the pantry’s growth and success haven’t come without challenges. Unlike the Supplemental Nutrition Assistance Program (SNAP), pantries don’t require that people qualify based on income, and for many people, they serve as an emergency solution or a supplement when food stamps alone are not enough. 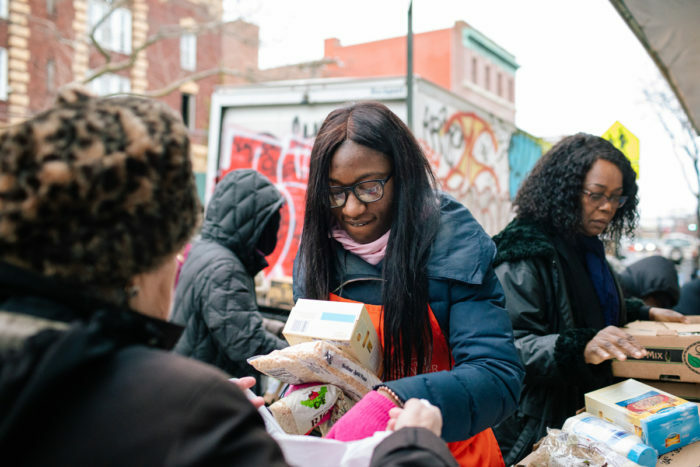 When TCAH started, clients at other pantries in Brooklyn were handed a bag of food and had no choice as to what got included. Samuels wanted TCAH to be more like a supermarket, where customers could grab a cart and make selections based on their actual needs and household size. The other differentiator was the pantry’s commitment to a consistent supply of fresh fruits and vegetables. In Samuels’ eyes, giving people options and healthy foods was the solution to the issues of health and hunger. There was just one problem: nobody was taking the produce. 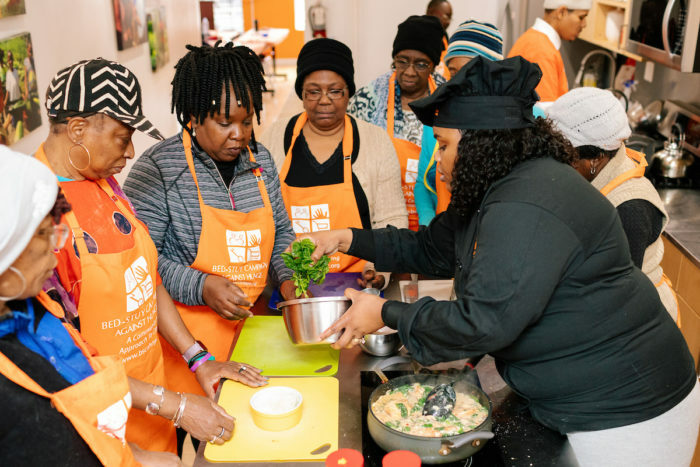 She quickly changed her approach and turned the pantry into a community food education center that includes a “chef’s corner” where clients can try new foods and talk to professionals about how to prepare them, says Samuels. If you’re there at the right time, you might, for example, find small pieces of soft zucchini bread, kale salad, or lentil soup on display next to a recipe. Or a chef teaching a group of seniors how to prepare roasted spicy lemon cauliflower with a yogurt parsley sauce. Three days a week, after closing the pantry, the volunteers and employees at TCAH move quickly to push all the shelves and boxes aside, put down tables and turn the space into a kitchen and classroom for cooking workshops. The organization has also expanded to include wellness programs for elders, after-school tutoring for kids, a mobile pantry servicing other areas in need across New York City, a tax assistance program, and two gardens across the city where staff and volunteers grow their own produce and offer people of all ages a chance to garden. TCAH has found that their cooking workshops lead to healthier eating behaviors. Everyone who participated in the course said they went on to cook or prepare foods with ingredients that were used in the workshop and 75 percent of participants have changed their diets to include more whole grains, fruits, and vegetables. “People and families in need have to travel far to get basic services. It’s really helpful to have it all in one place,” says Sandra Scott, a regular customer of TCAH. She says the option to choose what goes into her basket is what she appreciates most about the pantry. At 53 and unemployed, Scott is studying to get her high school diploma. She is vegan, which means that the lack of an option to pick from the shelves at other pantries can be more of a problem than a solution. “You can always trade items with people outside other pantries,” Scott says. But having options when your life already has limitations makes a difference. Samuels herself has experienced the constraints of poverty. Originally from a well-off family in Jamaica, she moved to the U.S. to get a master’s degree and eventually stayed to start a family in New Jersey. A few years later, she was on food stamps, let go from her job right as her husband was starting a business. That slump was brief for Samuels’ family, but it was a sobering lesson in empathy. “I understood that poverty can hit anyone at any given time,” she says. The experience taught her that low-income people deserve better: better choices, but also better treatment. In addition to helping serve an abundance of food, Samuels has also “greatly impacted the area as well as the entire borough through her educational programming [on healthy eating],” says Council Member Robert E. Cornegy, Jr., who represents part of Bed-Stuy. Both Cornegy and local Assemblywoman Tremaine Wright refer to Samuels as a key contributor to their understanding of how food insecurity affects their constituencies and how they should allocate their discretionary budgets. But all this fantastic work has little glamour to it. In the pantry, the vegetables aren’t stacked in Whole Foods-esque pyramids or periodically sprinkled by a delicate mist. Instead, Samuels’ reality is one of ordinary cardboard boxes, high demand, and chronic underfunding despite the political support. Brooklyn houses more than half of the top gentrifying neighborhoods in New York. Bed-Stuy is high on the list, and Samuels says she feels it as rising housing prices make it increasingly harder for families in the borough to pay for food. These issues are compounded problems like stagnant wages, growing inequality, and the rise in food insecurity across the country. Photos © The Campaign Against Hunger.